Stephen Bannon is not held universally in high regard by fellow conservatives, to put it mildly. Bannon coming onto the Trump campaign is just a doubling down on crazy. It means the Trump campaign has not really learned any lessons, does not really recognize its message is not a winning message, and it’s just going to go out in a blaze of conspiracy theory and bitterness. We are now moving beyond a dumpster fire. We’re more at Chernobyl. The only thing that’ll be coming out of the Trump campaign by November are three headed rats, which is kind of fitting. Breitbart is the only place that is more Trumpian than Trump. Trump’s campaign has now entered the hospice phase. He knows it’s dying and he wants to surround himself with his loved ones. 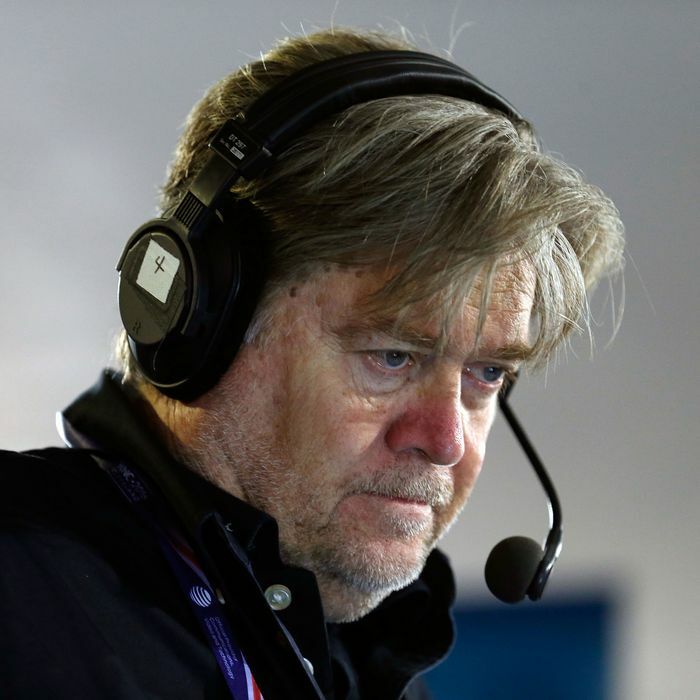 Many former employees of Breitbart News are afraid of Steve Bannon. He is a vindictive, nasty figure, infamous for verbally abusing supposed friends and threatening enemies. Bannon is a smarter version of Trump: he’s an aggressive self-promoter who name-drops to heighten his profile and woo bigger names, and then uses those bigger names as stepping stools to his next destination. Trump may be his final destination. Or it may not. He will attempt to ruin anyone who impedes his unending ambition, and he will use anyone bigger than he is — for example, Donald Trump — to get where he wants to go. Bannon knows that in the game of thrones, you win or die. And he certainly doesn’t intend to die. He’ll kill everyone else before he goes. Now, it is true that all of the above detractors of Trump and Bannon are prominent Never Trump activists who look forward to regaining power in the GOP after a Trump defeat. Nonetheless, it is a remarkable cascade of venom involving people who once served the same political gods. And, if they are right about the hiring’s significance, they won’t have to wait long to get the old band back together with the Trumpites in full disgrace.